Combine water, butter, granulated sugar and a pinch of salt in a saucepan and bring to a boil. Remove from heat and add flour. Stir until mixture forms a ball. Add eggs, one a time, mixing with a hand mixer after each addition until egg is incorporated. The mixture should be shiny and smooth when all the eggs have been added. Add vanilla and baking powder and mix for 2 minutes longer. Fill a deep, heavy pot with 3-4 inches of oil and heat to 325°F. Carefully drop spoonful’s of batter into the oil and fry until puffed up and brown; turn over and fry until brown on second side. 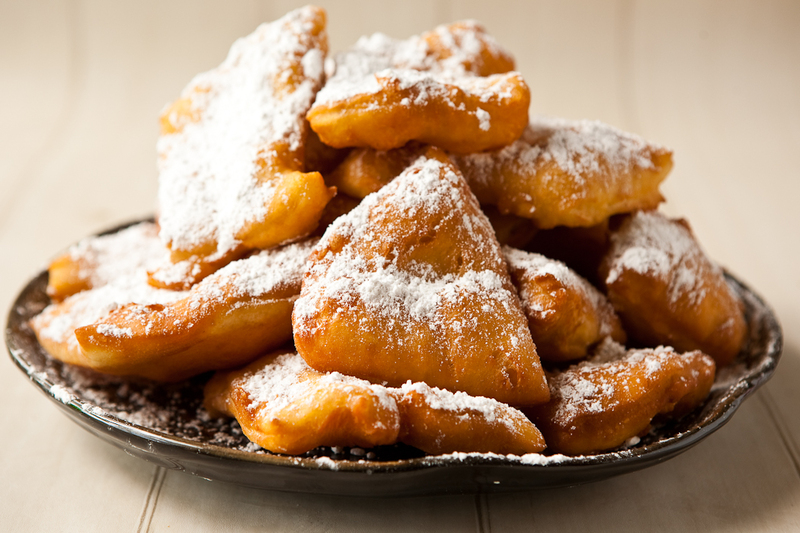 Remove beignets with a slotted spoon and drain well on paper towels. Shake in a powdered sugar-filled bag and serve immediately.